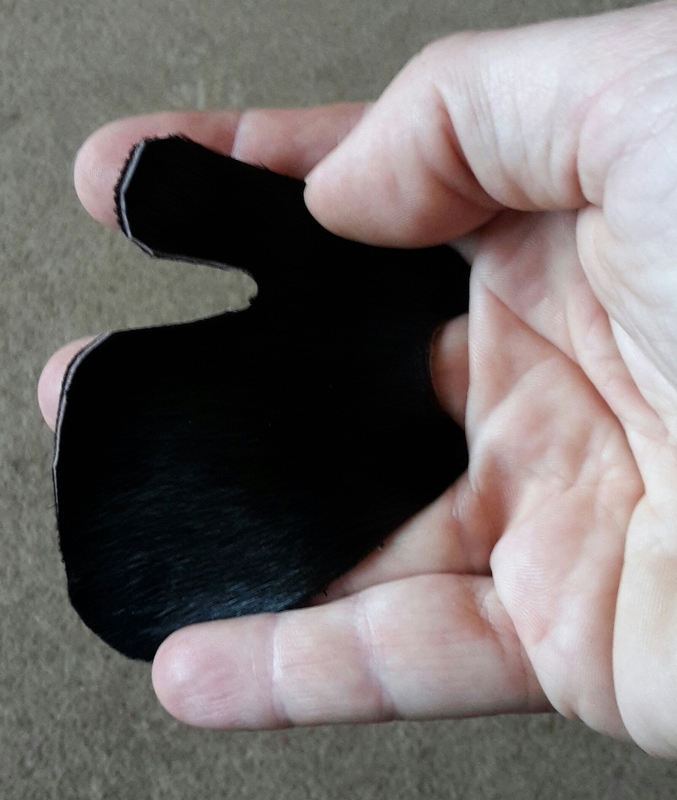 Dixie Leathercraft is a small business in Leicestershire making a vast array of leather goods. 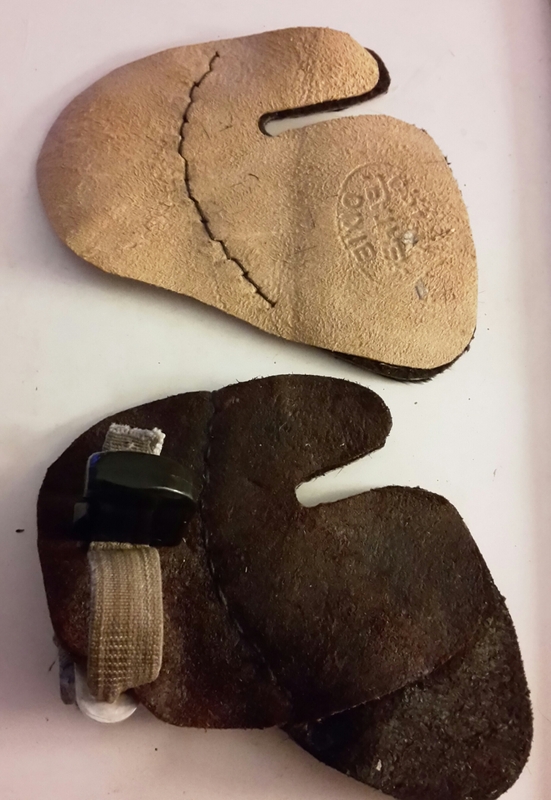 I first encountered them at the 3d championships this year where they had a large tent selling all kinds of products from quivers to arm braces, pouches to six gun holsters. I ventured into this Aladdins cave looking for a suitable belt pouch to house my Ventolin inhaler. They didn’t have one on show but offered to make me a custom belt pouch for the next day. Which they did and I have used ever since. A few weeks after the championships a friend was round trying out his new Blackbrook afb and showed me a tab he had commissioned from Dixie. This got me thinking and I contacted Dixie to see if they would be able to make something similar for me. They produced a couple of designs based on my specifications, one single layer and one double. 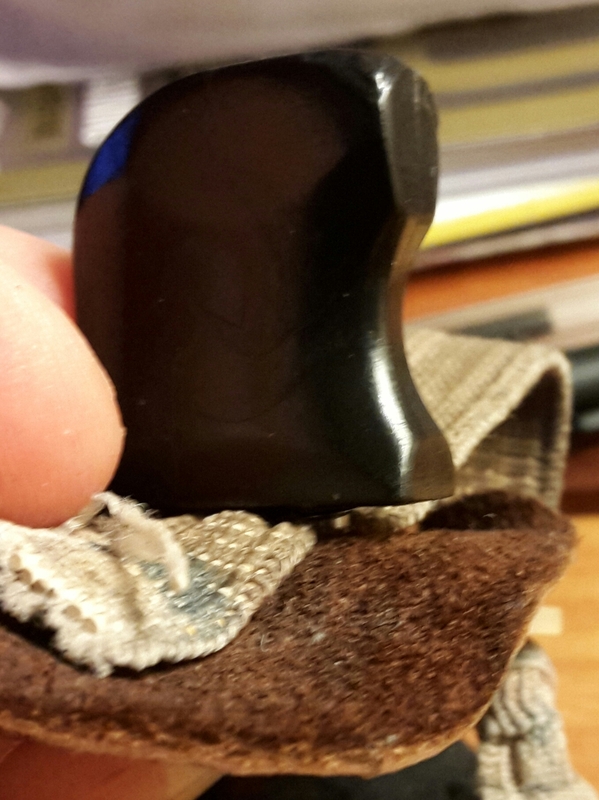 The double was made large enough for me to mount an old finger spacer from a worn out tab on. The first design of the double layer worked okay but I felt it needed a slightly larger backing piece to extend to match the facing piece. 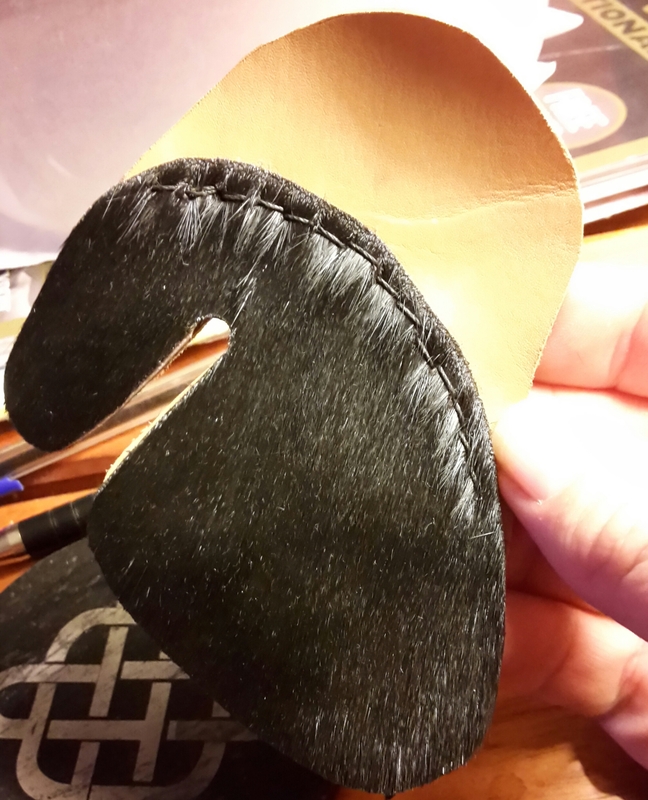 We also extended the leather covering the forefinger slightly. The mark two was produced and I have now used this in earnest shooting the club 40 target course, on practice bosses at home and for a couple of shoots. 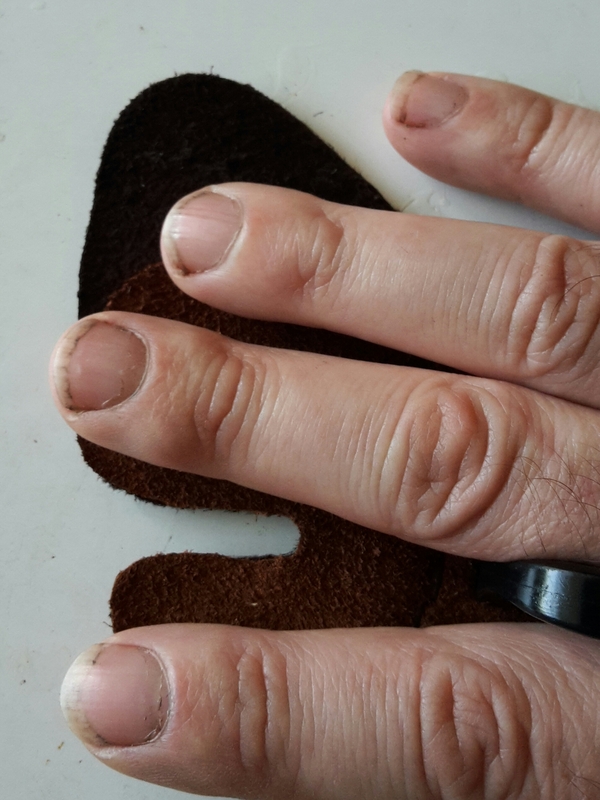 The extra length protects the ring finger well and the second layer whilst offering additional protection to the fingers, still allows me to feel the string on my fingers when at anchor. I know a lot of people may think what’s wrong with the normal ones in the shops and my answer is nothing. I used one for several years along with shooting gloves and there are countless ones on the market. The reason I sought out a custom design was to see if it made a difference to me and I believe it does. The tab is more comfortable to use than a glove as I have found the glove in warm weather to be very warm and uncomfortable, making my hand sweat. I’ve taken to talc in the inside to make it more comfortable. I also tend to take my glove off between shots on warm days. The cost has been cheaper than I expected and the service has been fabulous. 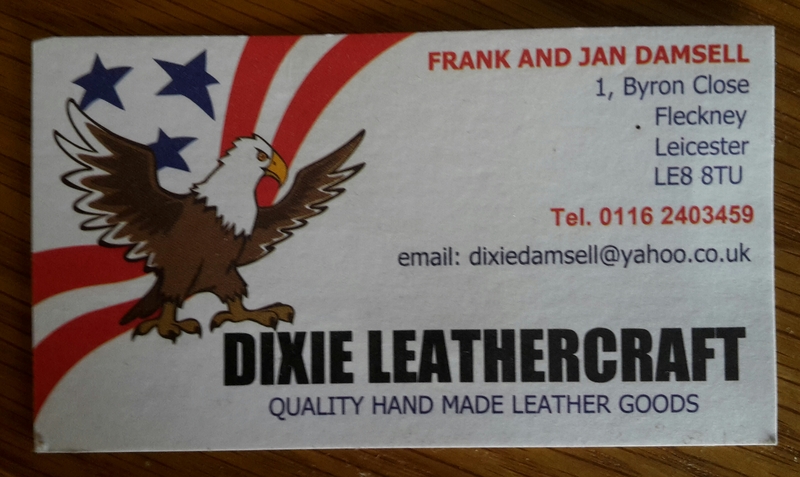 Dixie Leathercraft are really friendly and helpful. I shoot split fingers or mediterranean lose meaning my first finger is above the arrow nock with the other two below the arrow. For this reason when I’m using a tab I have a finger spacer between the first and middle finger. Mounting the finger spacer was pretty easy. 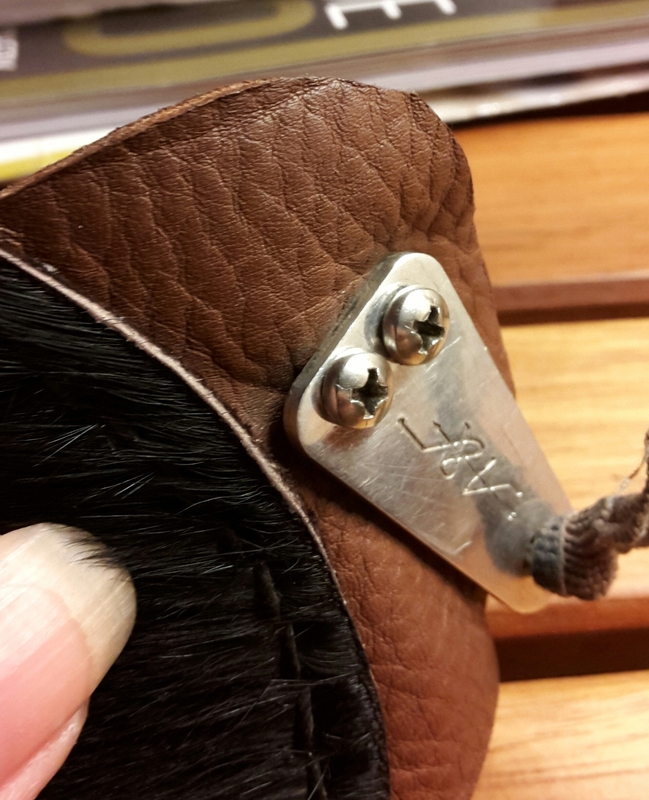 I used my old tab as a guide initially marking the reverse side of the leather where the tab spacer would be. The spacer on old tab was attached via two small screws which were easily removed from the worn out tab. I made two small holes in the new tab with a braddle for the screws and a third to allow the elastic strap through. 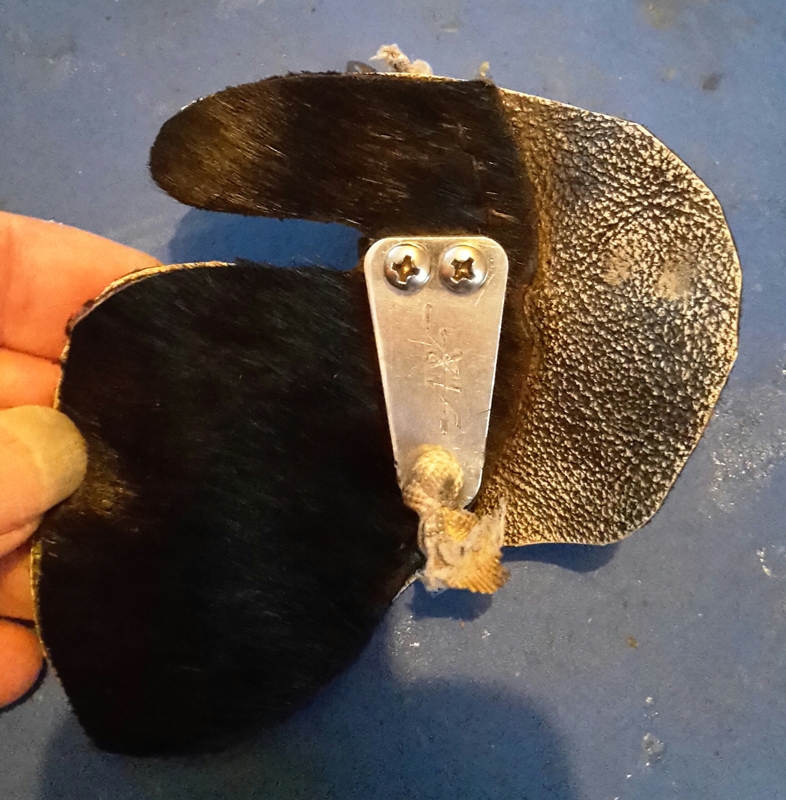 If you have one you might want to use a leather hole punch for the elastic hole as it would make it easier to feed the elastic through. The old tab had a metal plate triangular in shape with two holes in one end for the screws and the third I threaded the elastic through tying a knot so it wouldn’t be pulled through. Once the elastic was fed through the tab I then fed the elastic through the gap between the two screws, screwing them tightly to the spacer then secured the elastic in place. 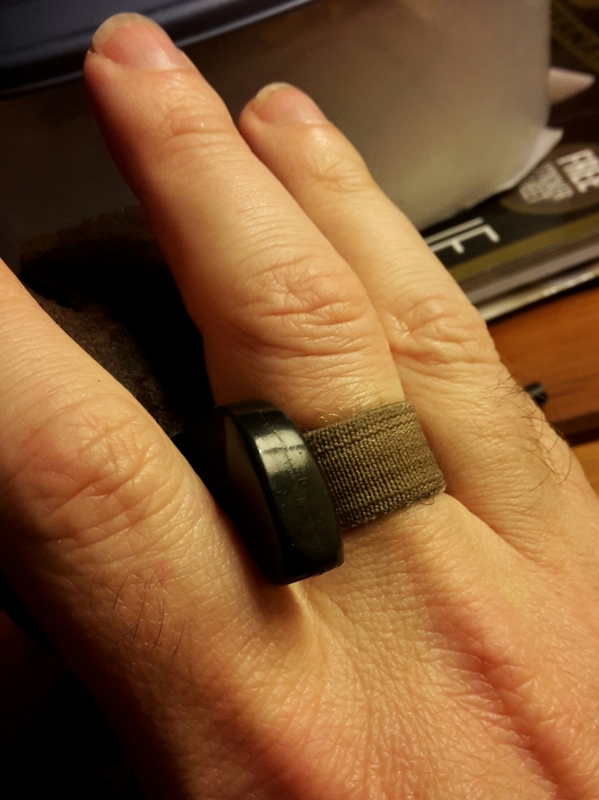 Before securing them I made sure the loop of elastic was the right size to accommodate my middle finger. The extra length of leather can be easily folded over the metal plate . I hope people find this of use . 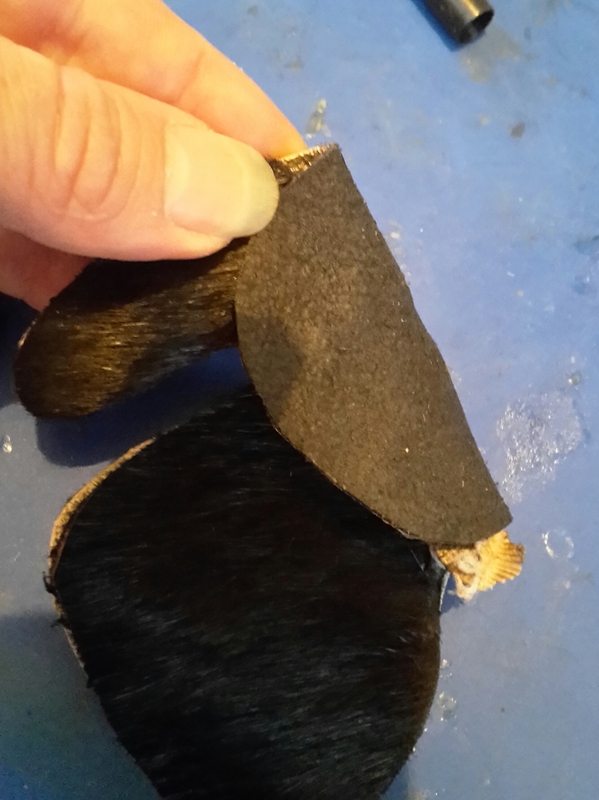 I know there have been a few articles and posts on tabs versus gloves. I think Bow International magazine ran an article on custom tabs and spacers a few issues back.